Howard Schultz’s coffee chain is paying dearly for breaking off a grocery alliance with the Cheez Whiz juggernaut and losing an arbitration case. Though a fat number, for Starbucks the penalty pales next to the benefits of bringing a fast-growing, high-margin business in-house. 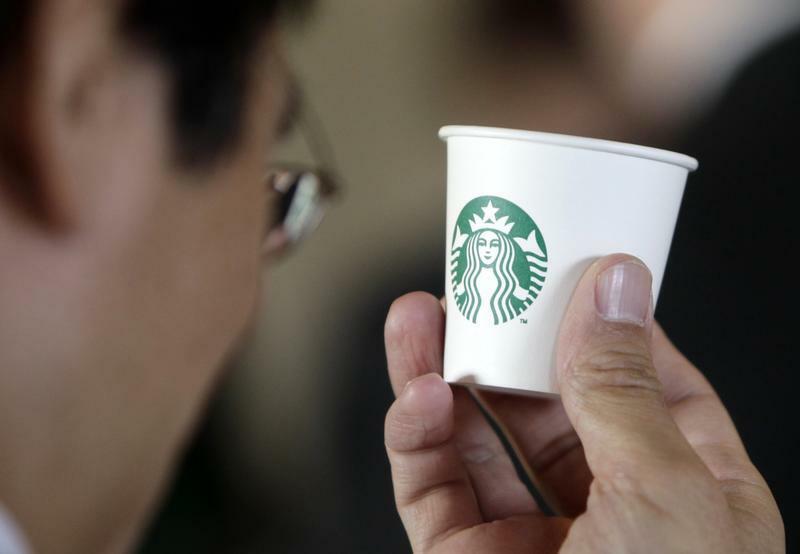 A customer looks at the new Starbucks logo on a cup at the Solana store in Beijing March 8, 2011. Starbucks, the U.S. coffee store chain, must pay $2.23 billion in damages plus $527 million for interest and legal fees for breaking off a packaged coffee supply deal with U.S. food giant Kraft, arbitrators ruled on Nov. 12. Starbucks canceled the agreement, originally struck with Kraft in 1998, in March 2011, prompting Kraft to seek damages. The contract was originally slated to run until at least March 2014. Starbucks shares were 1 percent higher in afternoon New York trading.